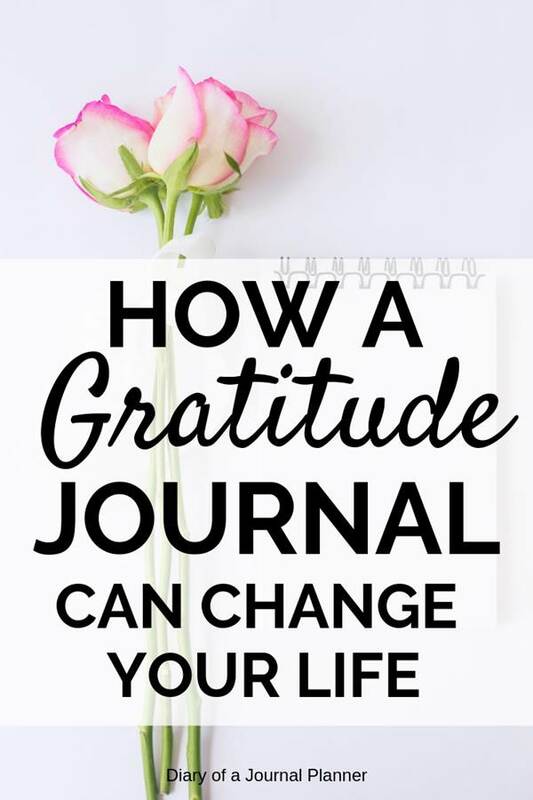 Learn why keeping a gratitude journal log in your bullet journal is so important and how to use gratitude journal prompts to record what you are grateful for. If you have been following me for some time you know that I often add a gratitude log spread in every monthly design I have. 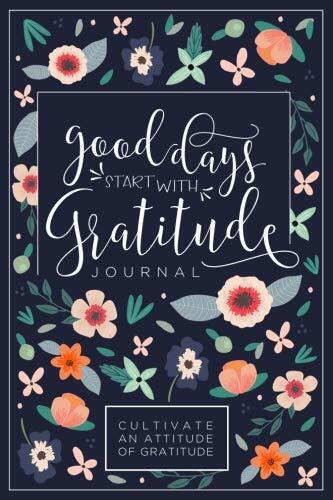 I have tried using a daily gratitude journal or gratitude book that is specially designed for these prompts but I find that keeping a gratitude journal log in my bujo is the most convenient way for me to remember and add entries daily. You of course are free to use a designated gratitude notebook if you prefer. What you really need to do to make this habit a success is to remember to write on it every day! The benefits of keeping these logs are huge and we will discuss it further down. 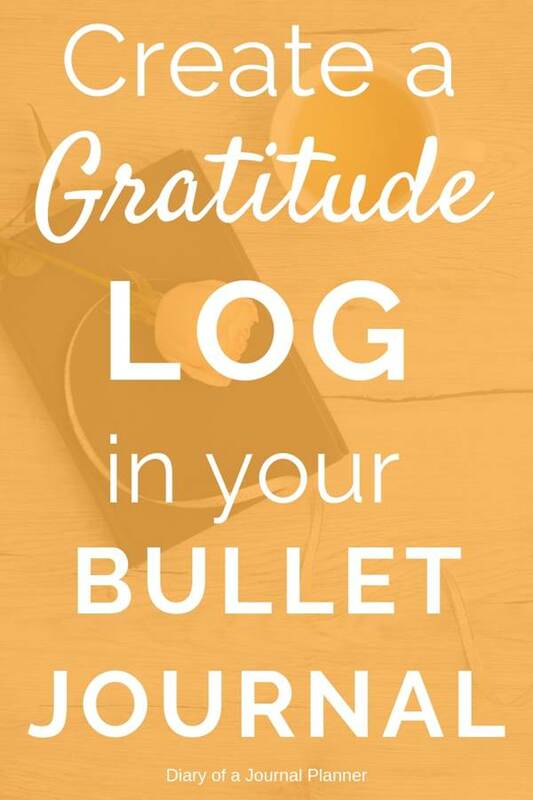 So keep reading to learn how to set a bullet journal gratitude log and why it is important to have one. 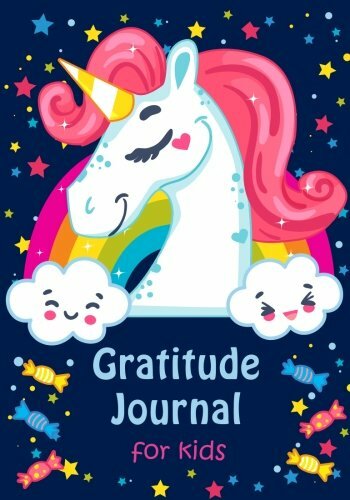 When to write on your gratitude journal? In simple words a gratitude diary or gratitude planner is just a space where you record the things that you are grateful for. But the gratitude concept is way beyond that, it has to do with the well-being of body and mind and changing your life for the better. A gratitude journal doesn’t necessarily change your life circumstances (because not every day is a good one, right?) but it helps you change your perspective on things. When you make an effort to record something positive, especially when life is not being kind to you, it generates positive vibe and awareness of all the goodness that surrounds us. You might remember my vision board attitude and how it is related to the Law of Attraction. I totally believe that my gratitude journal does a similar job at keeping my mind focusing on the good stuff which in turn helps the universe bring more of the good stuff my way. 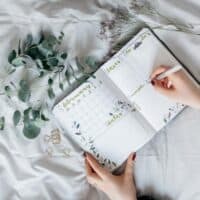 Even though you might not believe in the power of positivity, keeping a daily gratitude list is not only a therapeutic experience for you, but it offers many other benefits as well. 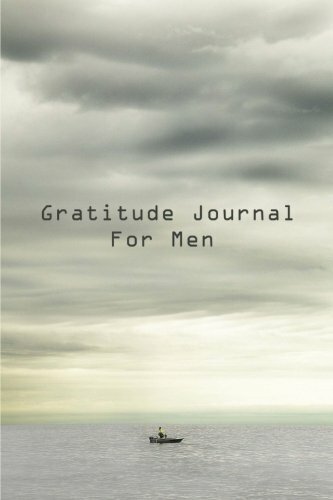 So why is a gratitude journal important? 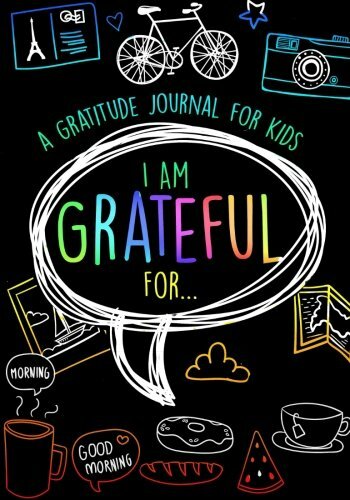 Some days it is a challenge to find something good to be thankful for, but that is the power of the gratitude journal. Many people don’t realize it but a lot of our personal attitude is revolves around the choices we make each day. Even down life is full of ups and downs with good and bad emotions, we still have the willpower to make choices about how to deal with every day circumstances. Being thankful is a conscious choice. Making the decision to focus on the good and record that is a proactive way of acknowledge the good, and that brings us to a state of control and positivity, which in turn can help reduce stress, anxiety, and even depression. One of the main reasons to start a gratitude journal is to work through mental health issues you may have naturally. When you keep gratitude journal pages you no longer focus on negative things that often triggers depression and other mental illnesses. You are starting to look for the good things in your day! The mindset change is the first step to seek happiness more actively which leads to reduced stress, reduced blood pressure, a more positive outlook and an overall improvement of your mental state. Writing things down has a lot more power than just thinking about it. It is a mindfulness exercise because you need total focus and full attention on your ideas to translate them into words on paper. 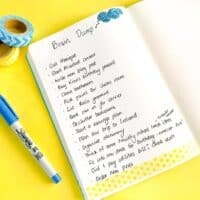 Not only you can clear your mind by journaling and brain dumping your ideas but it helps you stay connected to your positive attitude as you can reread previous entries and gain a new slant on all that is positive with your life, past and present. You don’t need anything fancy with this type of pages or journals. You can use any notebook you have and write as little or as much as want every day. 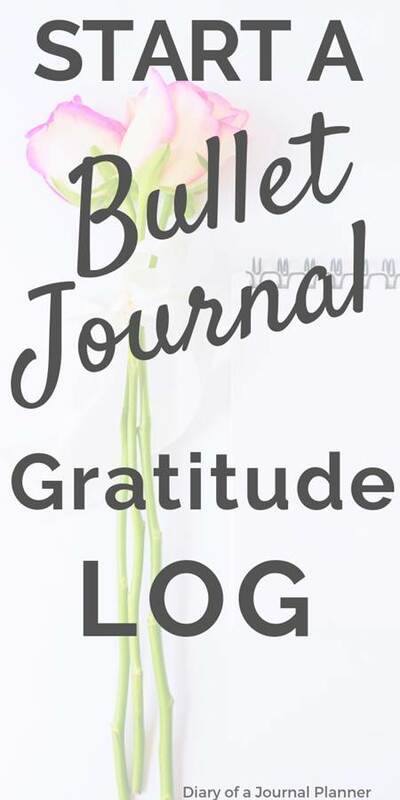 Whether you are brand new to journaling and want a simple one to start with simple free writing, or you are looking to expand your bullet journal collection, the gratitude log is a simple page to start with. 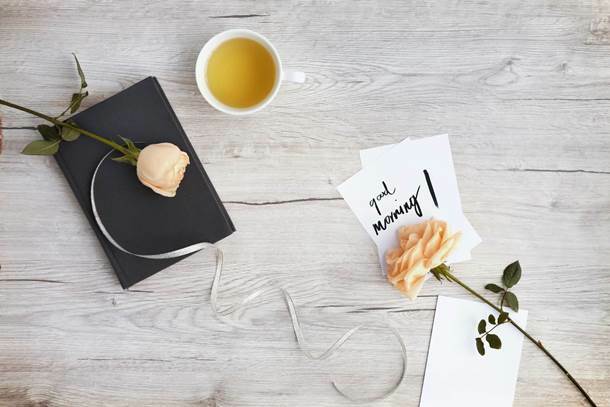 You could have a type of daily journaling where you write small letters of gratitude or you could start off with just gratitude list ideas by listing just one thing a day that you are grateful for. Below I share some gratitude list templates to get you inspired. This is a simple way to get you started without having to write a lot. The simple logic here is that not every day is a good one but there is something good in every day, right? I start off to just write what the first good thing that came to my mind was on a given day. 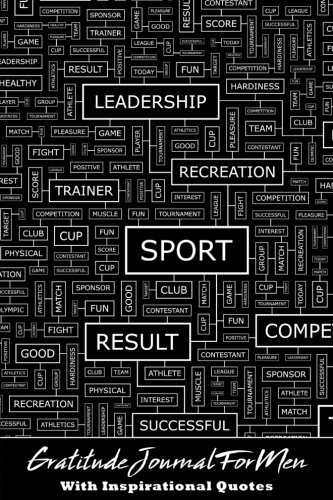 I did use a couple of words some days but that was just to make things easier for me to remember. My journal, my rules, right? This doesn’t have to make sense to anybody else, just you. A gratitude log is just a list where you add a few sentences of things your are thankful for. In here you can write a bit more than in the spread I showed you above. It is great to evoke the emotions that you had about any particular grateful moment you had. Just simply make a list page and remember to add your thoughts every day. One of the questions we get a lot from people starting out journaling is “what to write in a journal?”. A journal is yours to have and your rules apply every single time. there is no right or wrong to write in your journal but what you need or want to. However I know that sometimes we like to have a few guidelines to get started, and that is okay. I am here to help you! 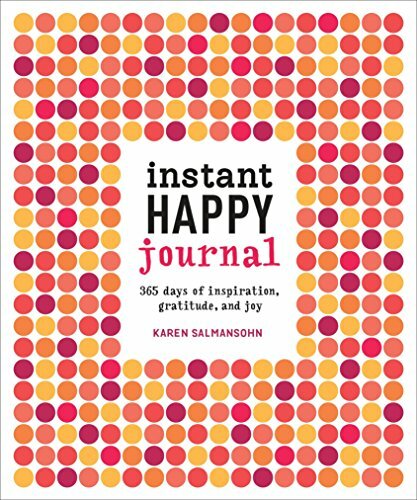 Write something unique to you: Every item and recordings in a gratitude journal will vary from the person writing it. However you can consider starting by recording people you are thankful for in your life. Think about family, friends, coworkers, neighbors, or even strangers that you meet on chance but that brought something good to your life. Unexpected happy moment you witnessed: Did someone share a kind word or gesture with you today? Perhaps they helped you with a small or large task? Maybe you witnessed someone going above and beyond to do a job well? or you just found a prime parking spot! It is all worth writing down. Write down the small things: You know those little things that are so enjoyable, like having clean bed sheets, smell your favorite food being prepared and go outside on a sunny winter day? When you experience the little things you may feel thankful and that is worthy of mention in a gratitude journal. Indulgent experiences: You know that wonderful confident feeling we have when getting an outfit that fits just right? Or leaving the salon with a new hair cut? Experiences provide plenty of opportunities for blessings to record. Surprises: That feeling when our package arrives in the post, or receiving a call from a friend you haven’t heard in a while, or getting a better than expected deal on a purchase is always nice. But you can also record receiving a surprise gift from someone who knows you well, or your partner coming home with a take way, these are all perfect surprises to record as thanks. 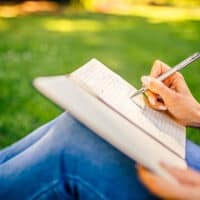 Below I share some tips and information to help you keep the habit of writing in your gratitude log. There is really no right or wrong way for keeping a journal but to get the most out of it you should try and make it a habit! For that reason I suggest that you try to add an entry daily – it only takes a few minutes. Missing many days in a row can hinder your ability to have positive thoughts daily decreasing the benefits of having this journal. It is very helpful to write thanks daily in the beginning, so that recording your grateful thoughts becomes not only a habit, but one that you look forwards to. If you are unsure about what to write you can use daily gratitude journal prompts. Journaling prompts are questions and observations that make us thinking about our lives and helps us find an honest answer. 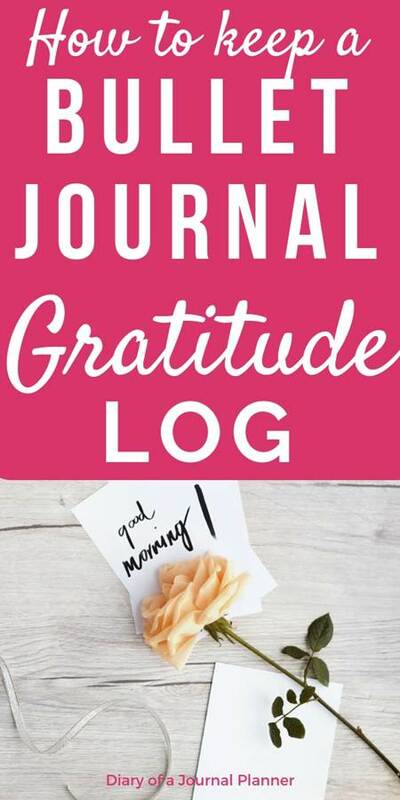 These gratitude journal questions and prompts will help you discover the positive, stimulate ideas and change your perspective on goodness. What you are going to write is totally up to you but it helps if you keep your journal in a convenient place and to write thankful thoughts when the mood strikes. However if you already don’t have the habit of doing it chances are that you will just forget to do it. That is the reason why I like to add my gratitude entries at night. 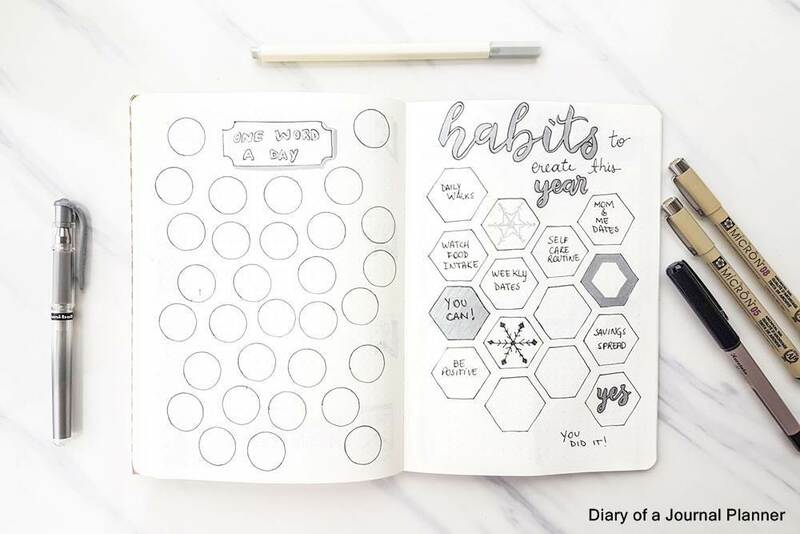 I check my journal at night to see what my plans for the next day are and that is a perfect time for me to fill in my thoughts for the day, gratitude log and trackers. So instead of going to bed with racing thoughts, I reflect on my day’s happenings and make a conscious decision to record some positive moments and experiences. I am not going to lie; some days I need a few minutes to think about something good but it is an exercise that gets easier with practice. As an alternative you can add your gratitude words and thoughts in the morning. Instead of waking up and checking technology immediately, slow down and think about all the good in your life. Can you imagine a more relaxing way to start the day? Create your own target number of thankful thoughts and gratitude entries to achieve. 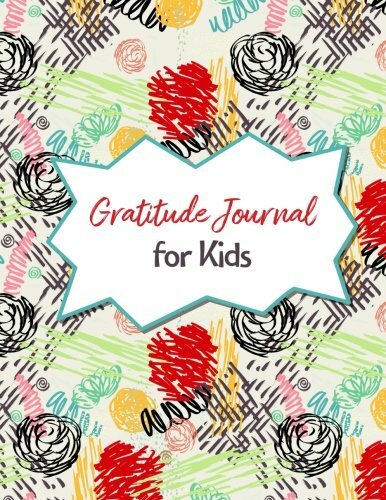 For those who wish to keep their gratitude log in a digital format there are even paid and free gratitude journal apps available. Some offer the chance to rate your day and to receive inspirational gratitude journal quotes, add photos etc. It is a great idea to ask someone who currently keeps a gratitude journal to share a few entries. Consider starting a gratitude club or monthly meeting to share goodness in the company of nice people, you can also have food and beverage offerings to celebrate the good! If this is not doable, make it a habit to share with close friends or family members the practice of gratitude journaling. As I mentioned above you don’t have to have any particular notebook to start a gratitude journal. 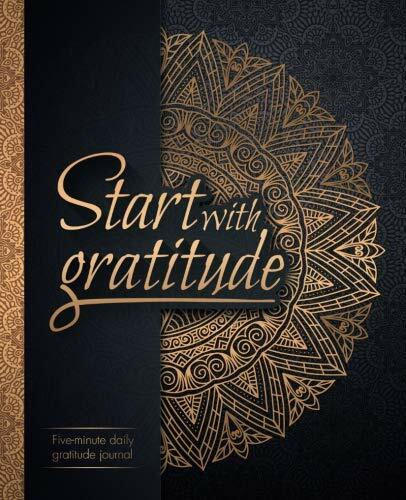 However, sometimes all you need is a little guided book to help you get into the good habit of gratitude. 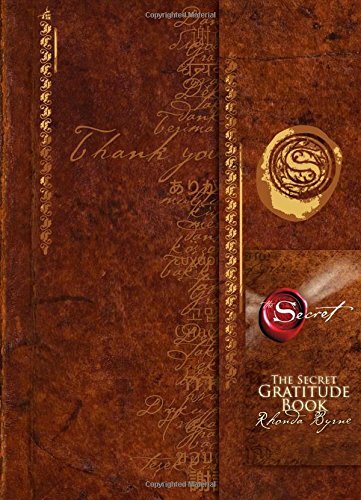 For that reason I am listing below some of the best gratitude journal and books available, all of which you can find on Amazon. 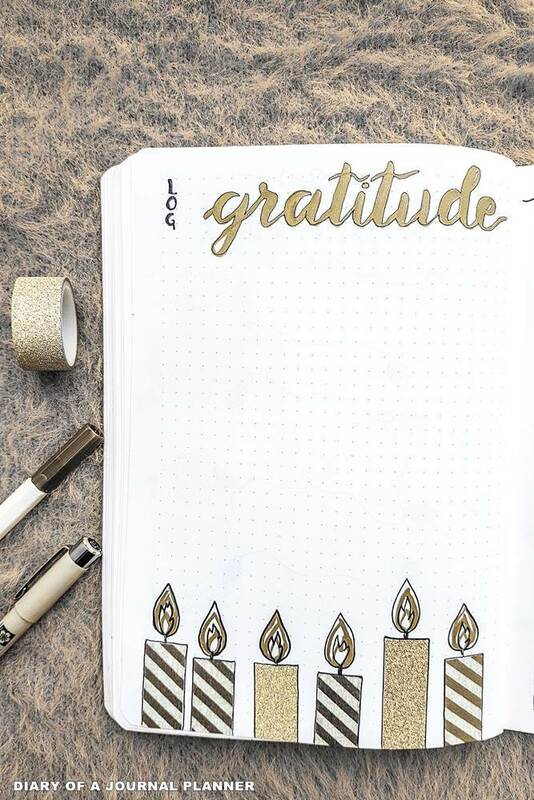 Do you keep a gratitude journal or a gratitude log inside your bullet journal? What do you love the most about it? Click to read these awesome posts too! Looking for an easy way to get your journaling creativity going on? check out these amazing prompts to help you know what to journal about. Get your life in order and be productive with these amazing organization layout ideas! No idea what a brain dump is? then you are missing a lot! Learn how to do a brain dump in your bullet journal and declutter your mind in the process.